The number one thing I hear from school owners, is that they struggle to get new students. That’s why I decided to share some of the simplest low cost martial arts marketing ideas (that I’ve personally used successfully) with everyone, to help those of you who may be struggling during these tough economic times. 2. Speak and make appearances whenever possible: Lion’s Club, Rotary Club, Boy Scouts, Girl Scouts, sororities, fraternities, churches, grade schools, high schools, etc. Find an angle, and use it as your “in” – I always had an interest in practical self-defense methods, so I do free self-defense and crime prevention workshops. Whatever it is, find your angle and work it. 4. Take an influential person in your community to lunch at least once a month, ask questions and listen to their answers, then find a way to help them that also helps you: Helping others helps you… But, do it because you want to, not because you expect something. You’ll be surprised at what community involvement will do for your school. 5. Donate to and support charitable causes in your community: See number 4 above. If you can’t donate money, then donate time and effort. Get your students involved. Run a food drive, fundraiser, etc. for a worthy cause. People will sit up and take notice that you care about something more than your own business… this will work wonders for your business image in your community. 6. Put signage on your vehicle and keep it neat and clean: Simple, cheap, effective. Buy some magnetic signs that have your basic contact information and use them. 7. Wear your school t-shirts around town with your logo and website address clearly visible on the front and back and get your students to do the same: Free advertising that comes with a third party endorsement. You can’t beat that type of advertising, so get some shirts printed with your school name, logo, and website address (see #9 below) and start selling them in your Pro Shop. 8. Sell school window decals, or provide them for free: As a child safety instructor, I hate seeing kid’s names plastered all over their family vehicles. But, you can just get your logo and website address on a vinyl decal and give them to your students. If they want to put their kid’s name on their window, trust, me they will… so it may as well be with your school’s logo above it. 9. Build a great marketing website and place the website address on everything: When you pay for an ad, it only works once. But, when you invest in a website and good SEO (search engine optimization), it works forever. Getting a professional web designer (one who understands direct response marketing and SEO) to build a marketing website for your school is the best money you can spend on advertising, hands down. Ignore this tip at your peril. 10. Ask your students for referrals at least once a month: Not getting referrals? Ask for them! And, make it easy. Get guest passes printed up, and put them in a brochure rack on the wall at the exit to your training area (where they are not available to passersby… only staff and students should be able to pass these out). Then, provide an incentive for students to hand them out and bring in friends… a free t-shirt, and cash incentive for new enrollments (not referrals – only for when someone gives you money), etc. You’d be surprised how a little self-interest can go a long way. That’s it – my Top 10 Low Cost Martial Arts Marketing Ideas. 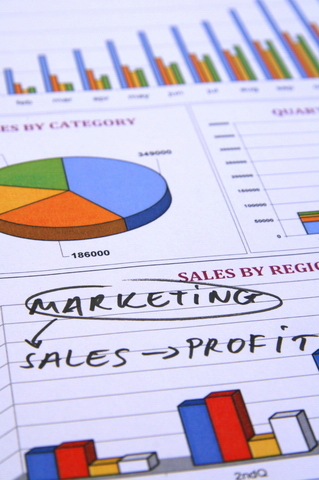 Implement each one on a monthly basis, and you’re guaranteed to see an increase in your leads and inquiries. Want more great ideas like this? Click here and become a member today at StartingAMartialArtSchool.com! 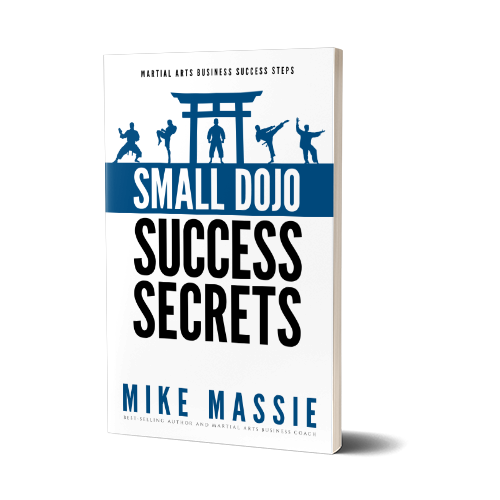 Mike Massie is the author of Small Dojo Big Profits and runs a martial arts business coaching website for new instructors and small school owners, StartingAMartialArtSchool.com. Personally, I’ve decided most if not all my marketing activities are going to be done online except for sponsoring a little league team or soccer team. I was in one of those as a kid so yeah need to give back. That is excellent advice. I hope people actually use it. I went through the list and smiled because I am doing almost every one of these ideas. There is more for me to work on. Thanks Mike for providing this to the community. Can’t believe it is free! Though may I recommend the book How to Persuade People Who Don’t Want to be Persuaded – by by Joel Bauer and Mark Levy for an alternative to the elevator pitch. Much more impactful – grabs the attention in the first 2 seconds, max. I’ll check that book out today. Solid advice. Any school that is doing all ten of these tips is sure to be successful. I am amazed at the number of school owners that I meet that don’t even carry a business card. Far too many school owners are Masters on the mat but white belts in the office. Until they take action to become more professional our industry will never reach it’s full potential. Keep up the good work. To the point, easily done, and proven tactics to get new students. Thats what I am talking about Mr. Massie. That is exactly why I follow you. Glad these articles and emails are working for out for you, Darrin. ===>>>five years ago back in 2004<<<=== Which, when most properly applied to the business of martial arts, means that when you concentrate on the strategies and tasks that yield most of your results, you simplify your life while increasing your chances of success in your school. Another brilliant insight into the MA marketing that so few owners are doing. Thanks again Mike, I have implemented these recommendations since the start of 2009 and have already signed up another 30 students! Wow, 30 students – that’s great Cheyne! Many instructors will discount this information, since it’s listed in a “free” blog article. However, those who take it seriously and implement should expect similar, if not equal, results. Great ideas for marketing yourself even if you’re not involved in martial arts! I’m going to have to scamper off and make some decals.